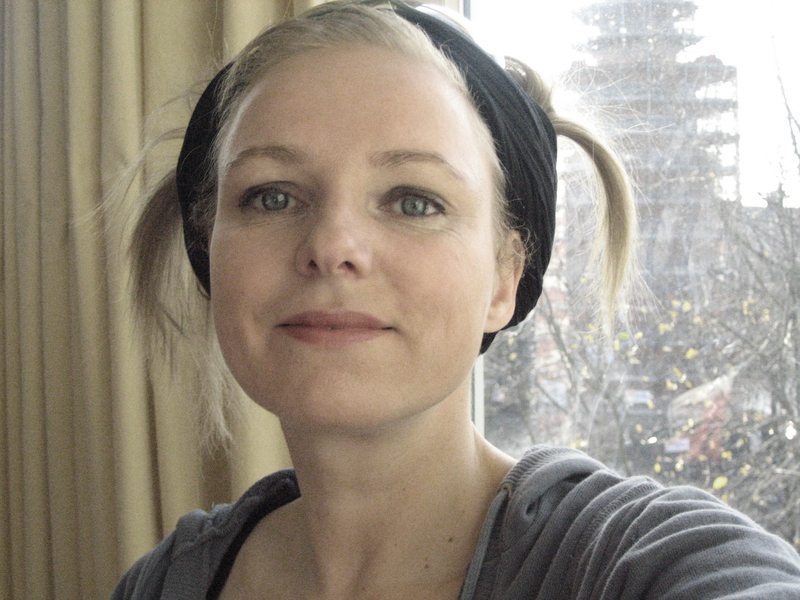 Iris Garrelfs is an artist working on the cusp of music, art and sociology. 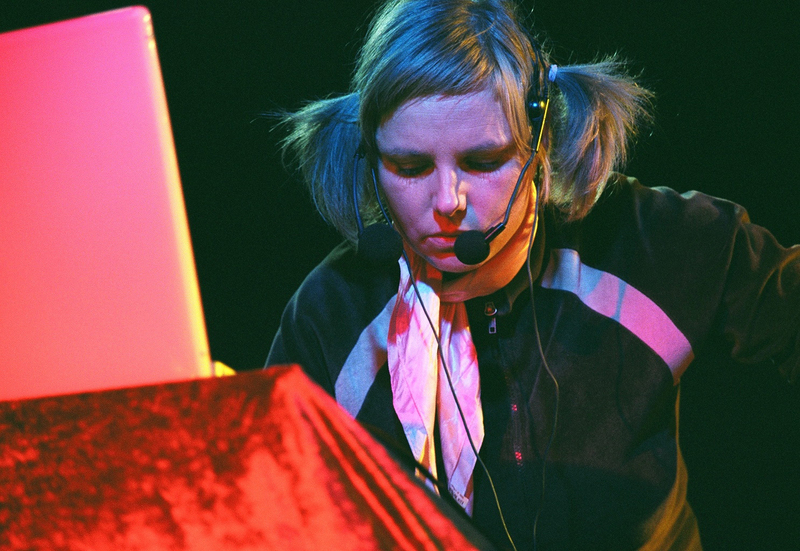 Her practice includes fixed media, installation, improvised performance and has been included in major institutions worldwide, for example Tate Britain, National Gallery, Barbican, Onassis Centre Athens, Visiones Sonores Mexico, Gaudeamus Amsterdam, MC Gallery New York. 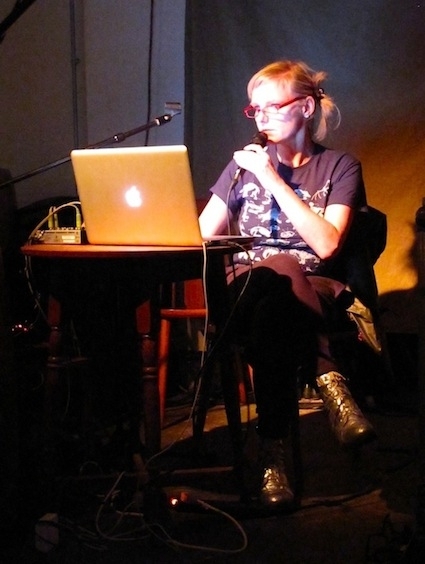 Elsewhere she is the commissioning editor of the online journal Reflections on Process in Sound and the co-curator and director of Sprawl, a London based experimental music organisation. 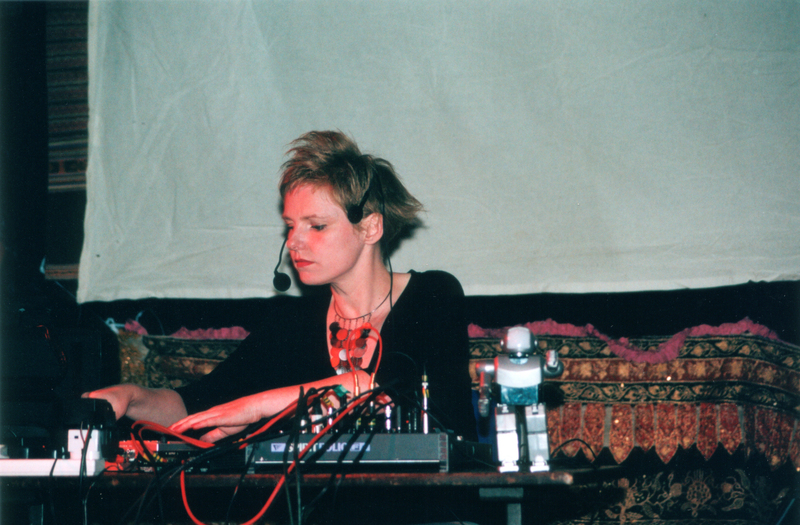 Iris has a PhD in Sound Art from University of the Arts London and is senior Lecturer in Sonic Art at Goldsmiths, University of London. 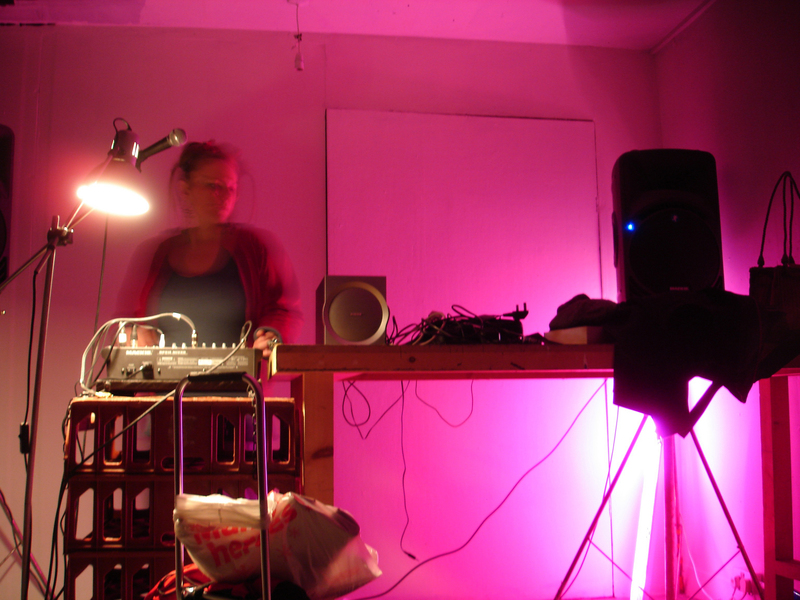 Iris Garrelfs is interested in modes of listening as a way of connecting to the world, exploring interrelatedness, patterns and interaction through performances, mixed media projects, and recordings. 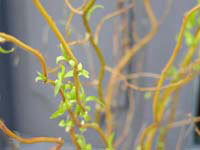 As a result she focuses on working with site. However, her approach to site-specificity does not mean work is created for a particular locale, nor does the work represent a place, but rather, it is a response to it. She includes people in my understanding of place, people who, through their ideas or presence, participate in creating it. And so Iris’ responses are not an investigation of the geographical, historic or sociological aspects of site, but rather, it is a poetic evocation of presence on the one hand and presence within a space or situation on the other. Iris Garrelfs is a composer/performer intrigued by change, fascinated with voices and definitely enamoured by technology. 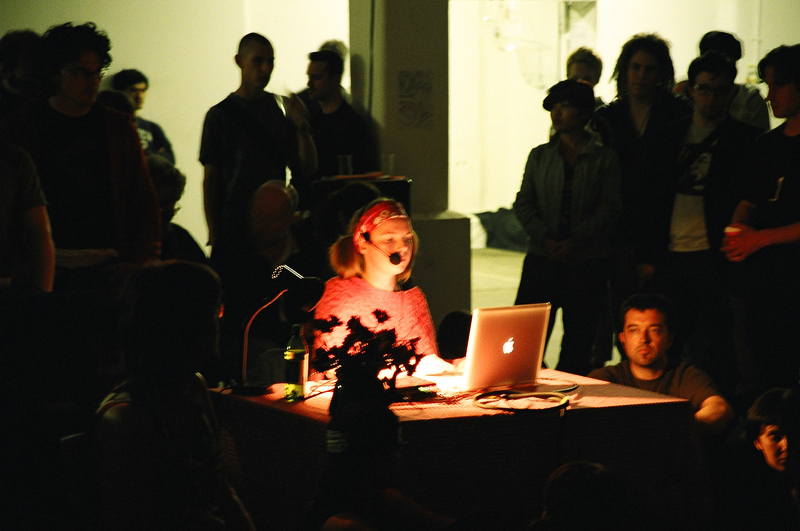 As one of the pioneers of digitally augmented vocal performance, Iris often uses her voice as raw material, which she transmutes into machine noises, choral works or pulverised “into granules of electroacoustic babble and glitch, generating animated dialogues between innate human expressiveness and the overt artifice of digital processing” as the Wire Magzine put it. Described as the Diamanda Galas of Glitch by BBC3, Iris’ training into creating through voice began very early on. Her parents sang in the village choir, and would often practice at home with Iris making up new melodies, 2nd and 3rd voices to whatever was being sung. She got into the attractions of technology as a teenager, stumbling across her dad’s pulp si-fi magazines. Iris is still waiting for an implant that will siphon off her sonic nerve impulses, fragments of melody, rhythm and correlation floating around in her body and brain. A vital part of her work, be it using voice or other sound material, is improvisation and the use of random elements, the ephemeral fragility and risk implied in giving up control to the moment, a sonic singularity moving through space. 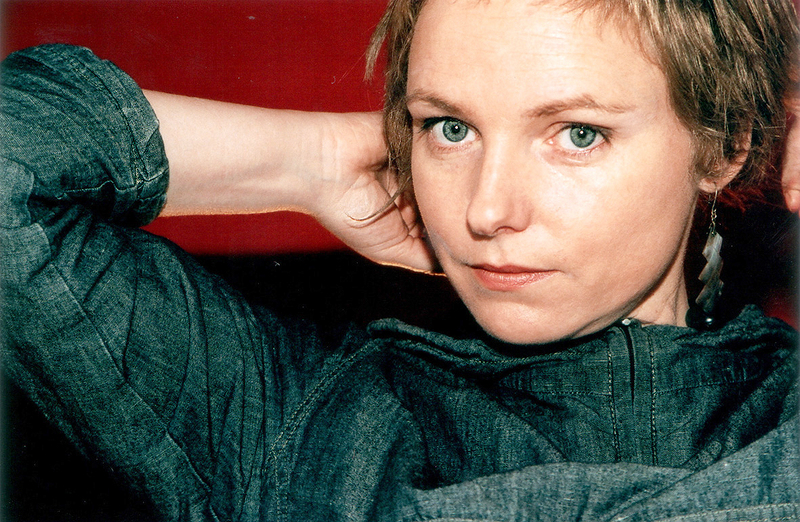 Moulding complex sonic or multi-sensorial collages, her work has been compared to artists such as Yoko Ono, Henri Chopin, Joan La Barbara, Meredith Monk and Arvo Part. Pieces and performances have featured in exhibitions, festivals and as part of residencies internationally, including International Computer Music Conference (NY, 2010), GSK Contemporary at the Royal Academy Of Arts (London 2008/09), Gaudeamus Live Electronics Festival, (Amsterdam 2007), and Visiones Sonoras (Mexico 2006). Iris works solo as well as in collaboration with other artists, for example with Thomas Koner in his Futurist Manifest, Robert Lippok (To Rococo Rot),Kaffe Matthews, Scanner, Si-cut.db, the improvising group Symbiosis Orchestra, or artist collective Urbania. 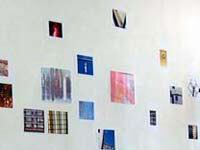 Listening Wall, a space of curated scores for listening and sound related instruction scores. 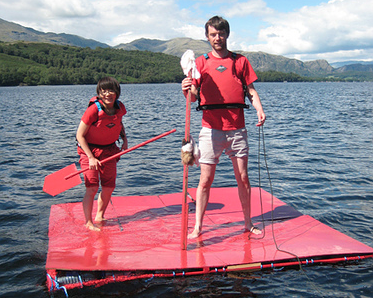 Installed at Points Of Listening (LCC), Supernormal Festival 17 and more. 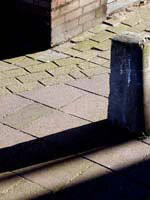 Soundscape/Landscape, a set of site specific pieces for a mobile phone walk. Onassis Centre, Athens. Curated by Medea Electronique. Otzi, an audio-visual performance for MuseRuole, Museion Museum for Modern and Contemporary Art in Bolzano/Italy. Curated by Valeria Merlini. Lauschen, a site specific performance for Lausch II, Lewisham Art House. Curated by Rahel Kraft and Adam Jaro. 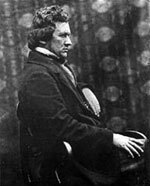 Unveiled, an audio-visual poem or experimental documentary devised for CREAM – funded by Jisc, with support from UAL, Getty Images. Breathing Through Wires, an album featuring technologically mediated live voice concerts for PanyRosas Discos, USA. 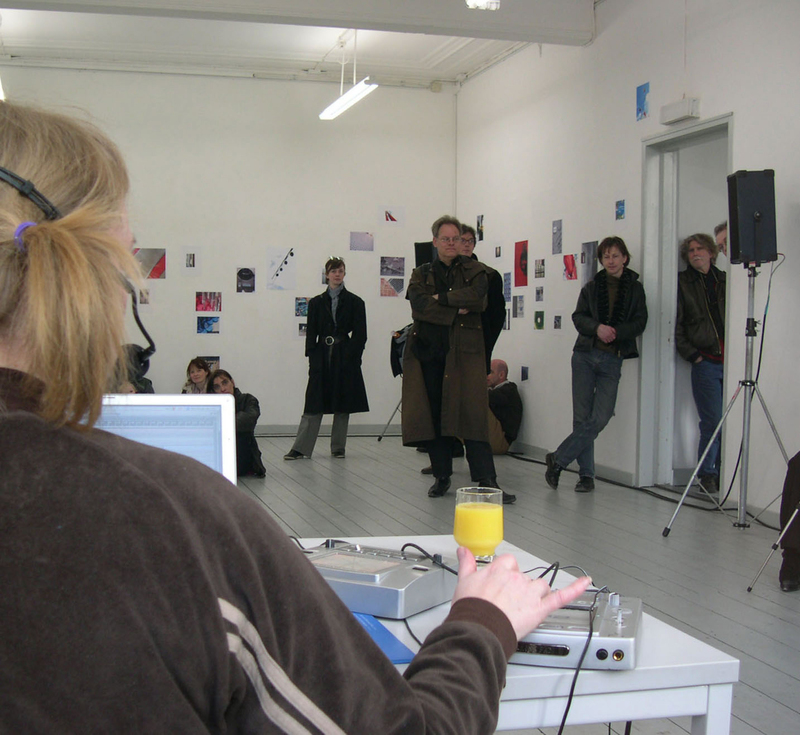 Listening Room, an installation created during a residency at and for Tate Britain. Room 61, a site-specific performance devised for and performed at the National Gallery, Soundscapes Late. Eclipse, a site-specific performance for Switched On, Beaney Museum of Art, Canterbury UK. Morse Code Choir, a radio art piece commssioned by Radio Arts. Showcased at Resonance FM, Borealis Festival Bergen, CCA Gallery Glasgow, Phonic FM, Wave Farm’s WGXC-FM and more. Nominated for the British Composer Award 2015. Unwitting Scores, a site specific audio-visual performance commissioned my Maria Papadomanolaki for Forms of Ventriloquism, IMT Gallery, London. Selected for a Google Cultural Institute collection curated by Poulomi Usurp Desai. Nominated for the British Composer Award 2015. Bedroom Symphonies, an album made from hotelroom practice sessions accompanied by a booklet of photographs, Linear Obsessional Recordings. One composition was nominated for the Bristish Comploser Award 2015. Remembering Worlds, a 9-channel sound installation developed with LCC students, commissioned by CRISAP for the ARUP BeOpen Sound Portal. Multilogue, a multi channel sound installation based on interviews with leading sound artists an experimental composers. November Song, a fixed media piece for 60×60, commissioned by VoxNovus, USA. Showcased at PianoForte Foundation, Chicago, USA. Traces in/of/with Sound, multi-channel audio-visual performance/installation series developed over several residencies, performed at various festivals and venues, and installed at GV Art, London. override, two works for mobile phone, London buses and earplugs exploring the nature of sensorial experience through juxtaposing sound and vision. Showcased at Camberwell Art Festival, UK. In a Day’s work, a series of mobile phone based sound walks exploring London’s economy. Showcased at sound.art.event curated by Lara Pearl, Tin Tabernacle, London, UK. Star Maker, a mini space opera developed for and performed at the Science Museum London for the 40th Moon landing anniversary. Commissioned by Sound and Music. Twine, a site-specific audio-visual work, Commissioned by the Institute for Contemporary Arts, Celje, Slovenia. Premiered at MCC, Celje, Slovenia and showcased at Sprawl, London. Swannsong, a site-specific installation at Leeds Town Hall, commissioned by Lumen for Evolution Festival. Specified Encounters, album for BipHop, France. 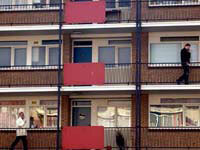 Dumplinks, an audio-visual interactive installation commissioned by Watermans Artcentre, Brentford. Also presented as part of Arborescence Festival, Marseille, Circle Of Sound, London, and Museum for Contemporary Arts, Celje, Slovenia. Appeared in Glitch: Designing Imperfections by Iman Moradi and Ant Scott, published in New York by Mark Batty. (Talking) Space to Space, a radio art project capturing celestial emissions, for Resonance FM, presented at Frieze Art Fair. Released on vinyl by art label Lich-tung. Whitstable Biennale (UK): collaborative beach side performance with Tansy Spinks at the Silent program curated by Marcus Leadley. VoxNovus Festival New York (NY): 60×60 showcased at Winter Garden Atrium, Brookfield Place. National Gallery, London (UK): performance of Room 61 as part of Soundscapes Lates. Tate Britain, London (UK) installation and a radio work Listening Room. Borealis Festival Bergen (Norway), Morse Code Choir showcased in the Radio Space. MC Gallery, New York (NY): composition showcase of Sofa Surfing USA (Bedroom Symphonies). Switched On, Beaney Museum of Art, Canterbury (UK), performance of Eclipse. 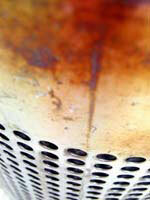 sound.art.event, Tin Tabernacle, London (UK), features In A Day’s Work, mobile phone walks. 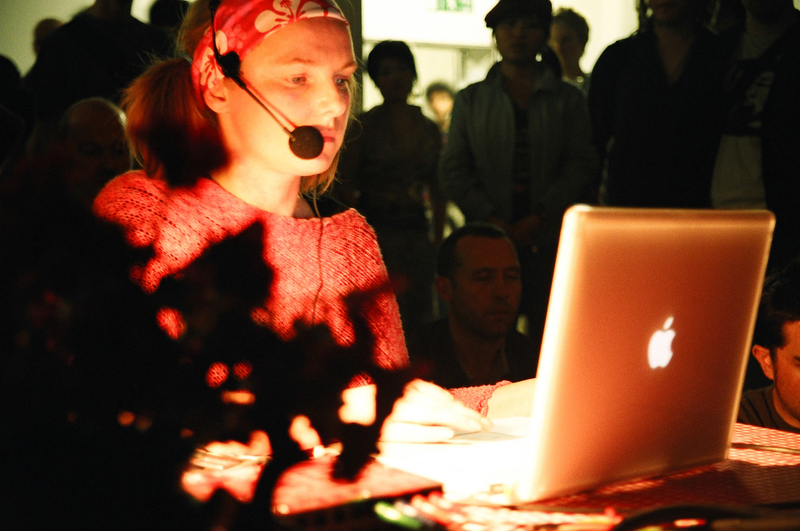 Hundred Years Gallery London (UK), improvised voice performance. 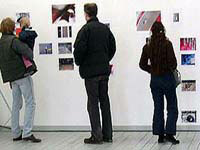 Disposable Film Festival, London (UK), screening of Objects & Process. 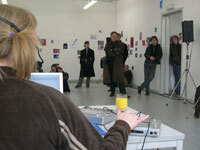 IMT Gallery, London (UK), live performance of Unwitting Scores. 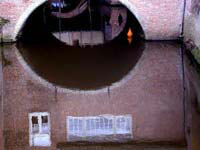 Horse Hospital, London (UK), screening of Traces in/of/with Sound. Sprawl London (UK), screening of Twine. cueB Gallery, London (UK), live improvised performance curated by Luca Nasciuti. ARUP BeOpen Sound Portal, London (UK), 9 channel installation Remembering Worlds. 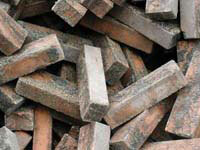 GV Art, London (UK), Installation of Traces in/of/with Sound as part of Noise and Whispers. 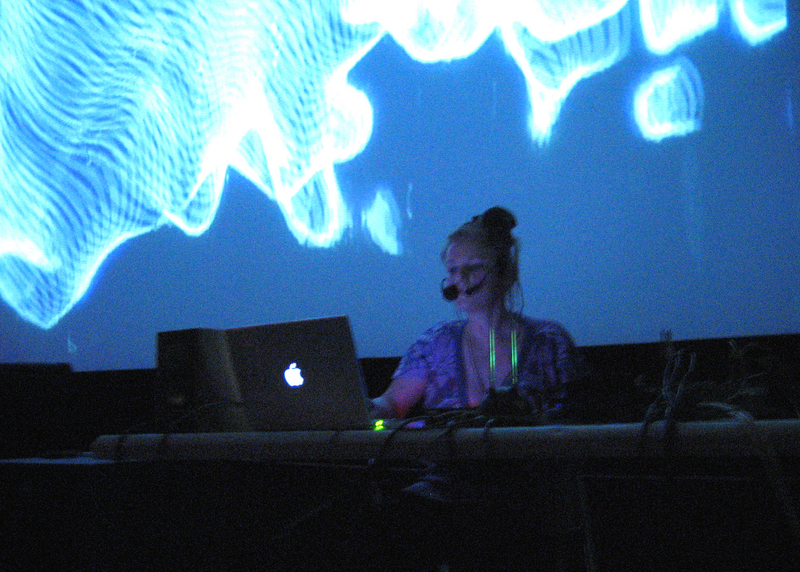 Barbican Centre, London (UK), improvised live performance, curated by Music Hackspace. 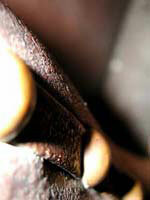 Aural Detritus Festival, Brighton (UK), multi-screen performance of Traces in/of/with Sound. Liverpool Biennial, Liverpool (UK), live performance as part of Electronic Voice Phenomena curated by Mercy. 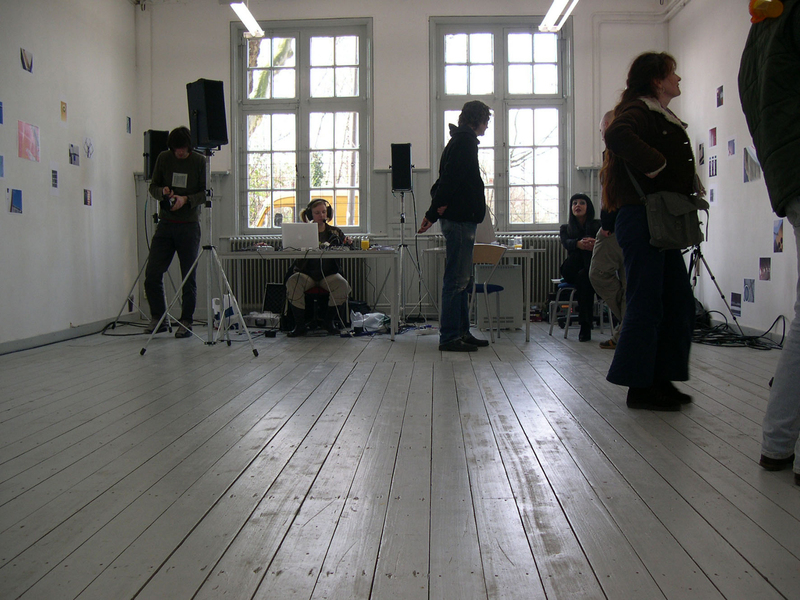 SoundFjord Gallery, London (UK), 4-channel residency concert of Traces in/of/with Sound. 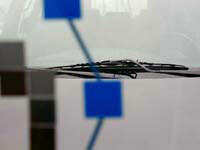 City University, London (UK), 8-channel live version of Traces in/of/with Sound. Text Festival, Bury (UK), live improvised voice performance. Rencontres Internationales, Madrid (Spain), performing as part of Thomas Koner’s opera digitale Futurist Manifest. 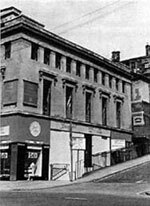 International Computer Music Conference, New York (NY), showcase of 60×60 project. 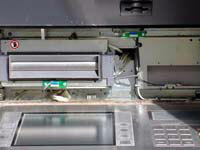 Ecoteca at Plinius, Pescara (Italy), improvised live performance. Sounds at the Muse, London (UK), live premiere of Traces in/of/with Sound. Impakt Festival, Utrecht (Netherlands), performing as part of Thomas Koner’s opera digitale Futurist Manifest. Science Museum, London (UK), performance of mini space opera Star Maker. Royal Academy Of Arts London (UK), performance devised for and by the Urbania Orchestra, GSK Contemporary Season. Galapagos, New York (NY), showcasing of 60×60, with a choreography and dance performance by Victoria Brown. Royal Academy Of Arts London (UK), Red Storage Room installation with Urbania Collective, GSK Contemporary. Leeds Town Hall, Leeds (UK), installation Swannsong. MCC, Celje (Slovenia) live premiere of audio-visual piece Twine. Sonic Circuits Festival, Washington (DC), performance curated by the American Composers Forum. 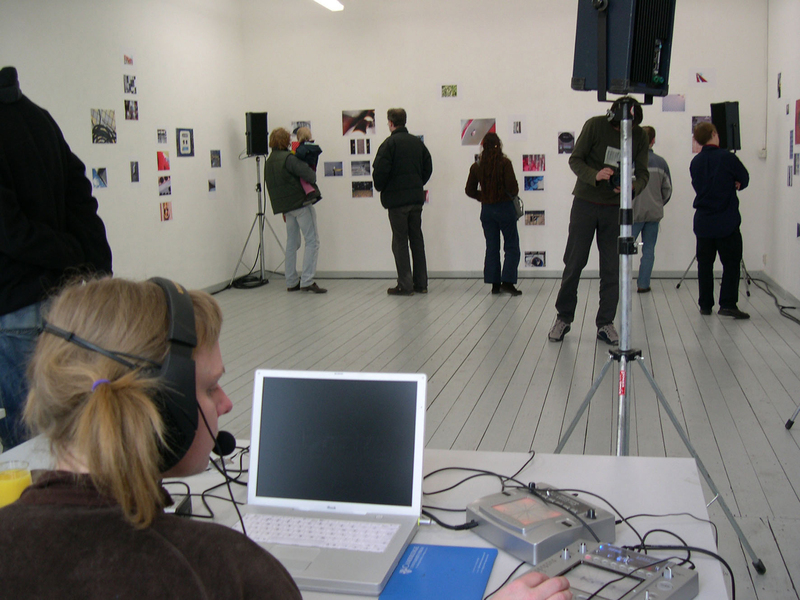 Museum for Contemporary Arts, Celje (Slovenia), solo show of 4- channel audio-visual installation Dumplinks. Bimhuis, Amsterdam (Netherlands), live collaboration with Si-cut.db as part of Goethe Institute Interplay EU tour. Darklight Festival, Dublin (Ireland), live collaboration with Si-cut.db as part of Goethe Institute Interplay EU tour. Gaudeamus Live Electronics Festival, Amsterdam (Netherlands), live improvised voice and laptop performance at the Muziekgebouw aan’t Ij Amsterdam. South London Gallery, London (UK), live voice performance. Visiones Sonoras, Morelia (Mexico) live improvised voice and laptop performance at Mexican Center for Music & Sonic Arts. 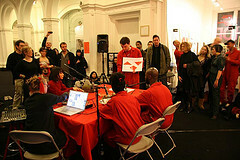 Whitechapel Gallery, London (UK), performance as part of Wormhole Salon. Lovebytes Festival, Liverpool (UK), live performance with film by Alexander Selski. Civica Galleria d’Arte Moderna, Milan (Italy), audio-visual performance with Symbiosis Orchestra. 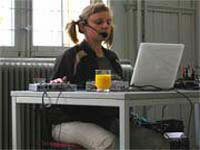 Media Art Festival PEAM, Pescara (Italy), live voice and laptop performance. 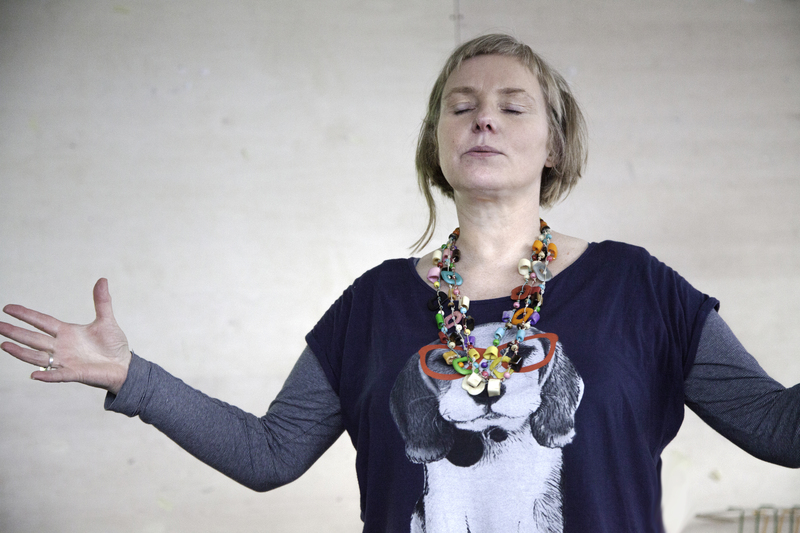 Soundworks Festival, Cork (Ireland), durational Live Art event, commissioned by Art Trail. Interplay Festival, London (UK), collaboration with Scanner at this festival of international collaborations.